Do you need to spend time with your family? Here’s 6 warning signs that will tell you that you need to make more time for your kids and partner. I think that we parents instinctively know that it is important to spend time with family. Most of the time we do a pretty good job of juggling our responsibilities and making time for our kids. When that happens, it’s time to pull back and create space in our family life. We need to create space without screens and stress and busy schedules. The trouble is sometimes we don’t recognize the need straight away. 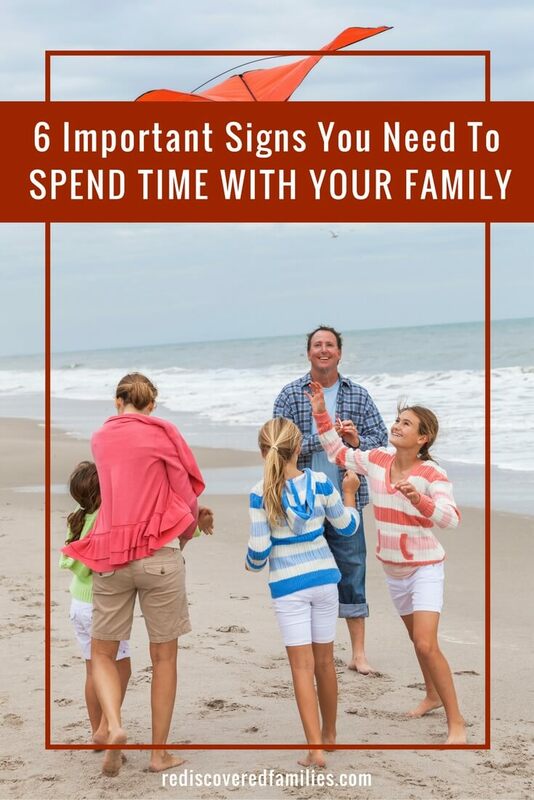 What if I can give you some helpful signs that you need to slow down and spend more time with your family? Did you know that children act out and act up when they are feeling disconnected from us? Many things can cause that sense of disconnection. Busy schedules, lack of meaningful conversation, or too much screen time. TRY THIS: Reconnect with these simple suggestions. I have seen this first hand … the feeling of overwhelm that comes from a schedule that is crammed full to bursting. You know that you need to spend time with your children. Does your schedule causes you to feel too busy or tired to spend time with your family? Then it’s time to take a step back and re-evaluate how you spend your time. Have screens taken over your family life? 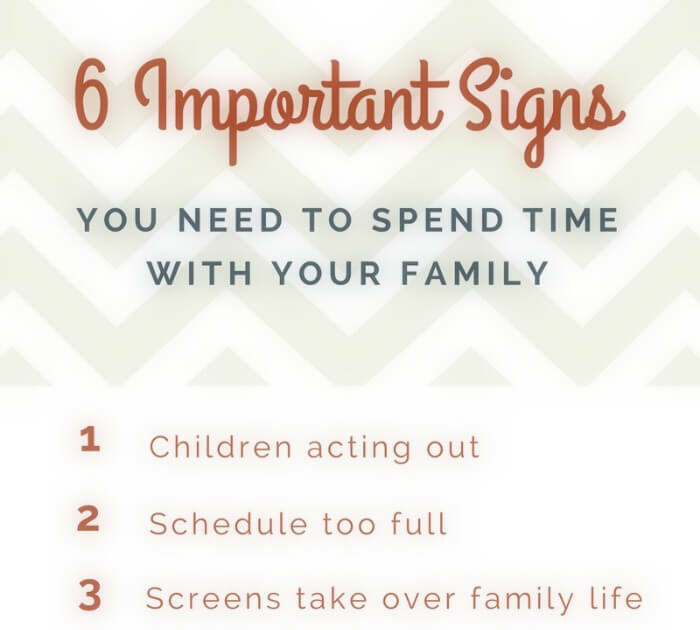 Do you spend more time on your screens than with your family? Are screens on during family meals? If yes then it’s time to examine the way we use our technology. TRY THIS: See what happens when you turn off your device. When was the last time that your family did something fun together? If it been more than a week it is a clear sign that you need to spend more time together. My son noticed that his dad spent a lot of time attending to the needs of parishioners. He wanted some of that attention. Do you feel resentment over the lack of time with your partner or your children? Do your children or partner complain that you are always busy? Do they moan about having to do certain things? Listen up! This is a really important sign that you need to spend more time together. It is a clear indicator that a conversation and balance are needed. TRY THIS: Don’t delay connect with your family today. When was the last time you had a meaningful conversation with your children? With your life partner? Do you know what is going on in their lives? Have you heard about their joys and challenges? Can you name their fears and hopes? If the answer is no it could be an sign that you spend some extra time with your child or partner. Close family relationships are built, moment-by-moment, from shared experiences. If we want these kinds of deep connections, we have to give our time to those we love. It’s really easy to fall out of the habit of spending time together. Fortunately these 6 super valuable signs will act as a reminder, so you can get back on track easily. Is your family in need of more time together? What signs have you noticed? Put it somewhere you will see it everyday. Easy peasy! You pointed out some very important issues that I think many families come across. It’s a hectic way of life, especially if both of parents have full time jobs and sometimes it just gets the best of the family. we have to stop ourselves, the world won’t change, we have to. I love this thought, “the world won’t change, we have to.” It is such a profound understanding. Thanks for sharing! You are right – family time is so, so important. My husband has specifically booked Thursday and Friday off this week (woop woop) so we can just spend some time together without the pressure of needing to go somewhere or do something. woop woop indeed! I hope you had a wonderful family time. It’s amazing what a little quality time can accomplish. I love that you how in tune you are with your children’s needs. Work schedules can be really challenging. I love that you have set aside the weekend to reconnect. Oh I hear you on the social media. I have to watch myself or I can easily loose a couple of hours! Life is so busy these days. 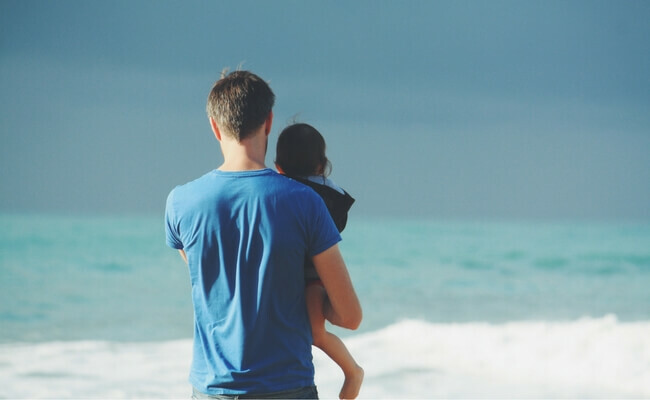 Family is often our refuge – but I have heard in many places that parents are not sure how to encourage family fun and togetherness as their children grow and become busier themselves. We have seen our own family strengthen as we find similar interests and bonding opportunities right here in the world around us. I have loved watching our kids run and climb and observe. I think there’s no doubt that kids need the chance to be outdoors, to think and understand what they can about the world and even about their own bodies in that world. We started hiking with our kids before they could walk. Now, every spring, we all anticipate that first time outside after the snow has melted (or mostly melted) for our initial family fun adventure. Somehow I managed to miss your wonderful comment Isabelle. I have also found that many parents don’t know how to encourage family fun and togetherness. I am thrilled that you have seen your family strengthen as you find those bonding moments that happen every day. I think that the outdoors is a perfect way to get away from the screens and spend time together. Your children will benefit so very much from all your outdoor adventures.